Take Exit 9 to Route 4 South which will become Route 1 South. Follow Route 1 South to the Matunuck Beach Road exit (NOT the East Matunuck Beach Exit). Follow the signs and make a U-turn to reach the exit. 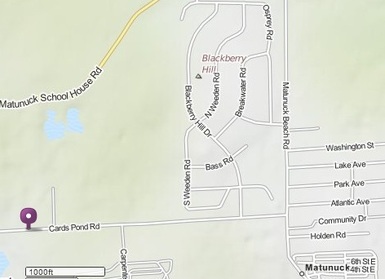 Follow Matunuck Beach Road to Cards Pond Road and turn right. Theatre By The Sea is one half mile down on the left. Take Exit 92 (Conn.) and turn right onto Route 2, and then right onto Route 78 toward RI Beaches. At the traffic light, turn left onto Route 1 North and continue to the Matunuck Beach Road exit. Follow Matunuck Beach Road to Cards Pond Road and turn right. 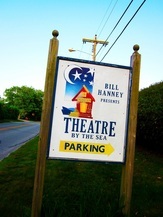 Theatre By The Sea is one half mile down on the left.